Subscriptions can be a great way to monetise certain types of media. It’s not clear that games are one such, however. But that’s not stopping Apple as it announces its initiative to build a subscription model around paid games on the Apple Store. 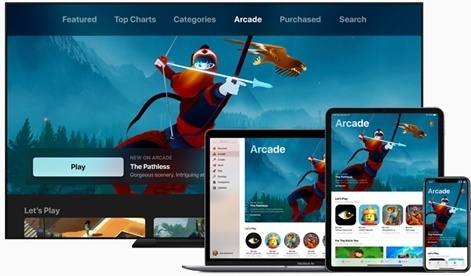 Called Apple Arcade, it will launch later in 2019 with at least 100 exclusive games, exclusive at least on mobile, and be available across iPhone, iPad, Mac and Apple TV. What are your thoughts about the Apple Arcade premium game subscription service? Apple has been focussed quite hard on trying to push premium games on the App Store for many years now. This seems like the next, more aggressive move in that direction. Given that it's clear there's not a very large audience for premium games at any price point, it's hard to imagine if there will also be a very large audience for people spending what will probably be the price of several premium games a month for this service. Families who want to give their kids access to gaming but don't want to be constantly hassled to buy games or IAPs by their kids. The second group may get put off by what seems like a heavy limit to the level of violence and adult content allowed in Apple Arcade. Also, it looks like all games need to be offline so no multiplayer only games is a bit of a shame. It's clear there's not a very large audience for premium games at any price point. From a developer point of view it is obviously going to be likely more viable in terms of building an audience and generating revenue than launching a premium game, but given the extremely poor performance they usually have that's not saying much. If Apple is paying developers to develop games for the platform, that's obviously (another) option for funding your game, but without knowing more about how the backend of any deal works, it's hard to say how good. Anyone who gets in early will be at a huge advantage if the financial backend is based on user activity in your game. I will personally wait and see what kind of games are released, and what the price point is. If it's low enough and I can share my sub with my daughter, maybe I will give it a try. I pay for more than one subscription for my daughter on her iPad - replacing that with one subscription sounds like a potentially attractive use case. The typical premium game on the App Store isn’t designed for long-term engagement, and the replayability is often limited. But for other use cases I’m rather sceptical based on the currently available information (and my personal bias as a free-to-play guy). Music and TV subscriptions work because there is enough relevant content. This is a function of the relevance of a back catalogue (only a fraction of my time on Spotify needs to be filled with new content) as well as amount, quality and “audience fit” of new content (Netflix, Amazon, HBO finance high-quality productions targeting broad audience slices to supplement licensed content). So for the Arcade subscription to stay relevant for “gamers", Apple either needs to get developers to release a huge quantity of games on the platform (possible with MGs), or change the nature of the content (possible with a business model where developers get paid for playtime i.e. are incentivised to design for engagement). The latter might appeal to some of the primarily ad-financed free-to-play games in the market place. I really hope Apple succeeds, as it would bring (back) another type of game to the mobile market. Apple was emphasising story-driven premium games at their presentation and I agree it would be great to have more of those available with a better business case for them. If the money is split according to time used, however, that will still mean the market is still stacked against story-driven games. You just cannot economically make games with hundreds of hours of storytelling - with the exception of games like Episode and Choices. In case the money is split by time used, as with e.g. Spotify, then that would likely favour games similar to F2P - with lots of grinding for several hours. In contrast with F2P, I would assume this model would favour a younger demographic that has more time than money on their hands; grinding games for kids, that is. Of course, Apple's featuring team might counteract this with the choices they make for which games get the most visibility. Both of these initiatives are attempts to change the relationship between consumers and games again. For game subscriptions to be viable you need volume beyond the core gamers. Game subscription models are a tough business as there is an obvious difference here between games compared to music and film. The mass market game player has got used to playing ‘for free’ but for game subscriptions to be viable you need volume beyond the core gamers. The challenge and success of subscription models will be based on bridging this gap by encouraging community or family play, also by making individual gamers more engaged by making them responsive to specific challenges demonstrated by their peers. In any case, the fact that premium games are now more considerate of player engagement is good news. And Apple putting in the toolkits to monitor and optimise this is a welcome development for gamers. There is an emerging battle between two different views of how to make a successful games business. In particular, there is a battle over who has direct access to the consumer’s wallet. Direct relationships to their players. Variable pricing: An uncapped “per user” spend where superfans can spend an enormous amount of money compared to the cost of a subscription, although many users play for free. An effective monopoly (once someone is playing Fortnite, Epic is the only company that can sell them a Fortnite dance). In the “challenger” corner is the model of the “Netflix of Games”, a fixed price monthly subscription for access to a lot of games. The battle is over who gets to have a direct relationship with the user and how they can charge them. Major F2P companies stay F2P. They have too much of a good thing to give this up to help give additional oligopoly power to the “distributors” (Apple, Google, Microsoft, Sony). Smaller companies, particularly those who make narrative-driven experiences, will flock to platforms that make their businesses more viable, at least for a while. If it is based on time played, then F2P retention mechanics will come to dominate. If it is based on being cool, then the platforms will tend towards a Netflix/HBO commissioning model. Along the way, some devs will make missteps, design games that don’t work well with the platforms’ business model and go bust. Exactly how it ends is hard to say. My guess is that it will not be as good for smaller devs as they hope, and it is the beginning of the return of the dev/publisher relationship, only this time, the subscription channels will be the publishers, much like Netflix distributes other people’s content, but also commissions its own. If you think you have the smarts to add something to the conversation and you'd like to join the group, please drop me a mail at jon@pocketgamer.co.uk. Is there any place in the F2P designer's toolbox for energy-based economies? Is Super Evil's longterm approach to Vainglory monetisation coherent?